In the press release for Google’s new wearables platform, called Android Wear, they talked about a developer preview that can be downloaded by developers who want to get their apps ready for live action on wrists. They also released a video for the developer preview, which just so happens to show a watch in action (or at least a video rendering of how it could work). You get a full preview of the UI, how the card-style information is presented, navigated through, what happens when you say “OK, Google” to perform an action, and how quickly you can reply using your voice to something like a Hangouts message. 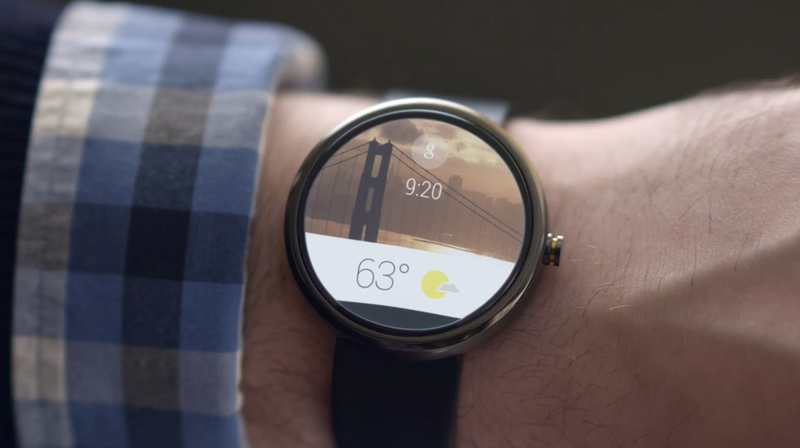 Oh, and the best part may be that Google is showing how Android Wear would look and work on a watch that well, looks like a watch, not something out of the future. Reminder to OEMs, just because you are making technology a bigger part of our lives, doesn’t mean we need our lives to look like a sci-fi flick. To see Android Wear in action, you can jump to the 58-second mark, though I would recommend watching the whole clip below.